The IRS is watching you. The Internal Revenue Service (IRS) has a group of accountants and attorneys that they call their Criminal Investigative Division (CID). Their sole purpose is to investigate underreporting of income, false deductions, or forgery of tax documents. Many of these people live and breathe to catch taxpayers cheating on their tax returns, often times not because the taxpayer errors are so egregious, but rather because they need to justify their job and their government salary. For example, for the 2016 Fiscal Year, there were 3,395 investigations initiated of income tax fraud, resulting in 2,672 convictions — with nearly 80 percent of those sentenced to prison. With an average prison sentence of 41 months, tax fraud and evasion is not only risky, it can be hard to wiggle out of a conviction if charges come your way. Think about it, every government job is funded by taxpayers and the less taxes collected the less jobs that can be funded. If you willfully attempted to avoid paying taxes, or willfully succeeded in avoiding taxes, they will automatically assume that you are guilty of tax fraud. Is it a crime to make a mistake on your taxes? While tax fraud and evasion is a crime, not everyone who submits a tax return with an error on it will be guilty of such a crime. In fact, making a mistake on your taxes is not fraud because the avoidance must be willful. Part of our duty to our clients is to inject a dose of common sense and reality into the situation and remind the government investigators that inaccurate tax returns do not always rise to the level of criminal tax fraud. Looking over statistics from the 2015 tax year, there was a whopping 2.1 million math errors alone on federal income tax returns. These errors may involve incorrect calculations, exemptions, deductions, Earned Income Tax Credit, child tax credit, education credits, adjustments to income, and more. These errors are generally not criminal in nature, and tax fraud defense lawyers can help make your case and provide the proper defense you need if your number is called and you must face an investigation. The attorneys and accountants in CID may know the law and know the accounting, but a competent attorney that understands the law can explain the circumstances surrounding the evidence. Many times our goal is to persuade the government that legitimate mistakes were made and criminal prosecution is not the most just way to resolve the situation. What’s the Difference Between Tax Fraud and Tax Evasion? Tax fraud is a term that deals with many laws comprising the IRS and the United States Tax Code. In general, it means that the taxpayer (whether it’s an individual or a business) had a deliberate intention to defraud the government by paying fewer taxes than they should. Tax evasion is similar (and is actually a subset of tax fraud), and the phrase is used within a criminal context. It means that the taxpayer has engaged in deliberate misrepresentation regarding taxable income, including concealing (or understating) income, inadequate record keeping, incorrect Social Security number, refusal to cooperate with tax authorities, altering checks, claiming dependents that don’t exist, or falsifying documents. Is tax fraud a federal felony? Tax fraud, or filing a fraudulent return, is considered a federal felony offense most of the times, but can also be charged as a federal misdemeanor offense. While the punishment tends to be less severe than tax evasion, it can be a serious charge and include prison time and a large fine. Is tax evasion a federal felony? Tax evasion is also a federal felony offense, and can be accompanied by more prison times, stiffer fines and higher penalties than tax fraud as it’s a more serious crime. What does federal tax law say about tax fraud? There are many tax laws, and while every situation is different, there are several standards laid out that can help you get a better idea of the different types of tax crime and penalties that can spring forth upon prosecution. What are tax fraud punishment and penalties? 26 U.S.Code § 7203 says that any person who fails to keep any records, supply any information, willfully fails to pay estimated tax or tax, make returns, keep records, or supply information, at the time or times required by law or regulations, shall, in addition to other penalties provided by law, be guilty of a misdemeanor and upon conviction, the person shall be fined not more than $100,000 for individuals ($200,000 for corporations). In the case of a willful violation of any provision of section 6050I, the first sentence of this section shall be applied by substituting “felony” for “misdemeanor” and “5 years” for “1 year”. What are tax evasion punishment and penalties? 26 U.S. Code § 7201 states that any person who willfully attempts in any manner to evade or defeat any tax imposed by this title or the payment thereof shall, in addition to other penalties provided by law, be guilty of a felony. Upon conviction of tax evasion, the person shall be fined not more than $100,000 ($500,000 in the case of a corporation). What is the sentence for tax fraud? Upon conviction of tax fraud, the person could face a significant fine, or be imprisoned not more than 1 year, or both, together with cost of prosecution. What is the sentence for tax evasion? Upon conviction of tax evasion, the person, in addition to a hefty fine, could be imprisoned not more than 5 years, or may be both imprisoned and fined, together with the costs of prosecution. While mandatory minimums may be a concern, at this time, the statute does not impose mandatory minimum sentencing for tax fraud or evasion. If you’ve been accused of tax fraud, we can help. Tim Bower Rodriguez, PA and his team of retired IRS agents will learn the tiniest details about your case to ensure that the outcome is the best it can be. In addition to individuals, businesses, financial institutions, and other entities can be charged with tax fraud as well. Tim Bower Rodriguez and his team of professionals will protect you and your company and discern the difference between a simple accounting oversight, and tax fraud or tax evasion. 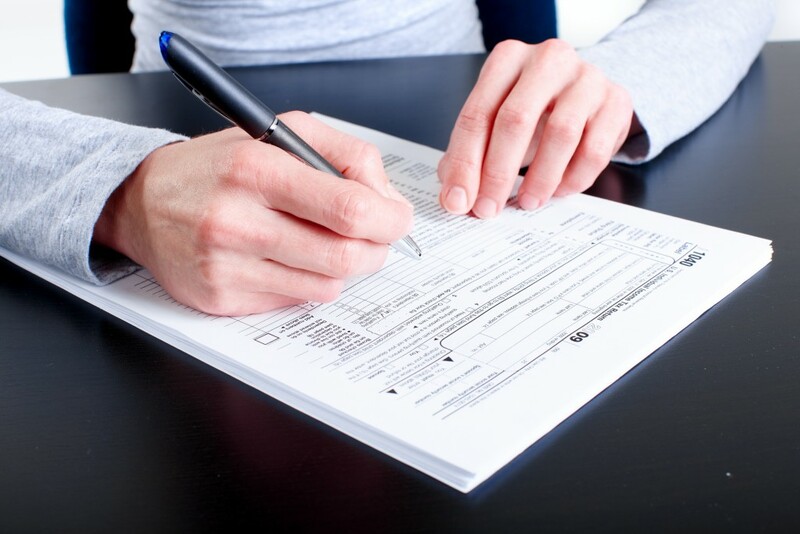 Contact us to request your free initial tax fraud defense consultation today.